This book is an outstanding example of ‘newspaperman history’. 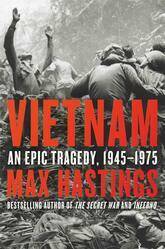 In an epic 700 page volume, Max Hastings gives a detailed account of the conflicts in Vietnam between 1945 and 1975. It starts with the efforts of the Vietnamese under Ho Chi Minh to liberate themselves from the French and records, assesses and analyses the course of events until the fall of Saigon and the flight of the Americans. When I say this is a journalist’s history, this isn’t meant to be in any way deprecating. Someone who has been there, interviewed the key players and seen the horrors for himself necessarily has an insight that is not available to academics. On the other hand, having been involved,journalists have a frame of understanding that they cannot easily cast aside. The author here makes a valiant attempt at academic impartiality, relying on historical research as well as his own experience, but he was a British journalist reporting on the American side of the war so we get very much an American perspective on the conflict. But it’s not a sympathetic American perspective. The Vietnam war is regarded by many as the worst failure of US foreign policy in the 20th century, or even perhaps ever, and this is an opinion Hastings clearly supports. His anecdotes and analyses of Washington’s political decision-making shine a searing spotlight on their failings. Hung up on an ideological conviction that communism needs to be opposed everywhere, the US leadership become embroiled in a conflict they would have been better to stay out of. 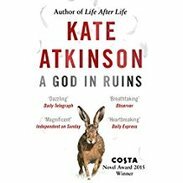 Then, realising their mistake, they compounded their errors with a series of disastrous decisions as they try to extricate themselves from the mess. It is a view that that the author seems to endorse, but the book is more than a condemnation of self seeking American politicians trying to protect their backs. He also attempts to recount and evaluate the Communists’ conduct of the war. He is no less disapproving of The North’s military as he is of the U.S., but the reader gets the impression that his criticism in this case is much less founded on fact and more influenced by conventional western ideology. That, of course, doesn’t mean he is wrong, but I saw more question marks in this side of his argument. Also, surprisingly for a book written by a journalist, I found some of the writing lacked clarity. Sometimes I was not sure which of the many ‘generals’ was being referred to; There were also some examples of very long sentences containing too many ideas where the meaning was either obscure or ambiguous. I’ve often had this problem with academic writer, but Max Hastings is a professional communicator and I feel he should have done better. Where the book really excels is in the wealth of information the author gives us on the military strategies of the war and, above all, the stories of the personal experiences of the combatants, the victims and the neutral observers on both sides of the conflict. For anyone interested in the dangers of intrusive foreign policy and the tragedy of the modern conventional war, this book is well worth a read.